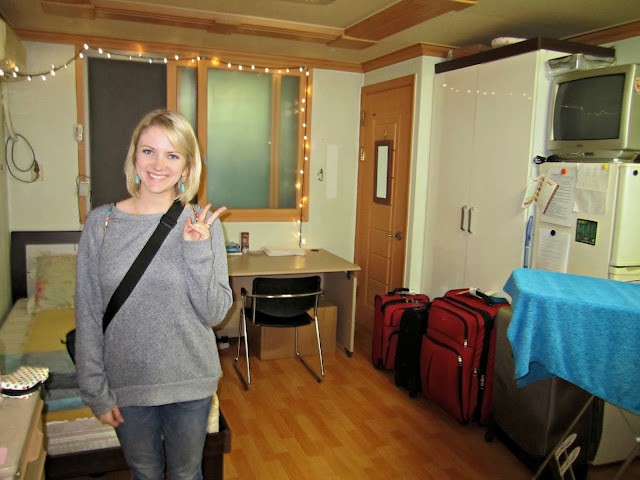 Well, I can't believe it but my time in Korea has officially come to a close. I am finished with work, have said goodbye to everyone, and I am heading to the airport in about 5 hours. It has been an emotional, bittersweet week. I am so excited about my eminent travels, but also incredibly sad to leave this place I now call home. Having had to work almost up until the very end has made the leaving process A)stressful, B)abrupt, and C)"non-transitional" (thank you for the word, Romeo). It's just been work-work-work, then boom! Move out! And then, woah, time to go to the airport! 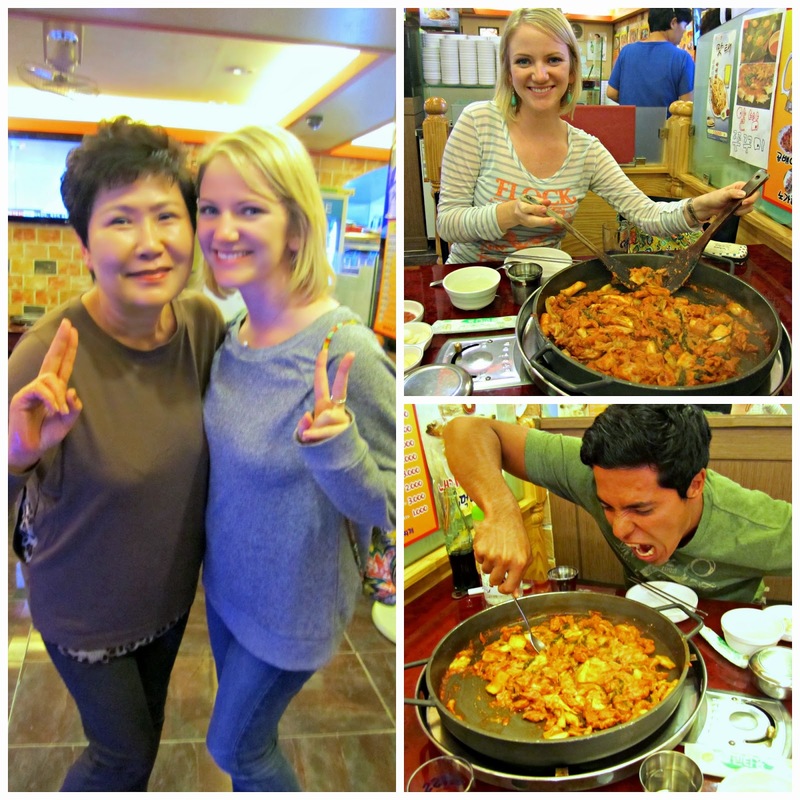 We loved this place that made the best dakgalbi in Korea (in our opinion). The owner was awesome! We loved her. Once again, the best Indian food in Korea happened to be located in our neighborhood. Lucky us! They knew our order when we walked in. 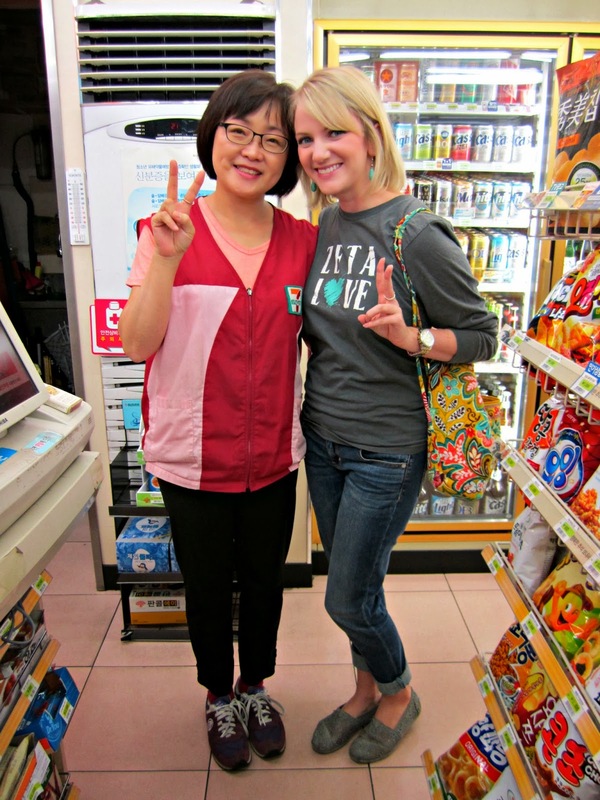 This sweet 7-Eleven lady was always kind to me (I gave her truffles for New Years! ), and I will miss her kindness. Our favorite Korean BBQ place!!! The guys who worked here were awesome. Too bad the photographer here was the coolest one, who danced to k-pop when he thought no one was watching. After emptying my apartment... one last photo! I had an epic year in room 305, I will miss it (kind of!) I don't think I'll ever live in a smaller apartment. As you can see, we really made some connections to this place, and the people. 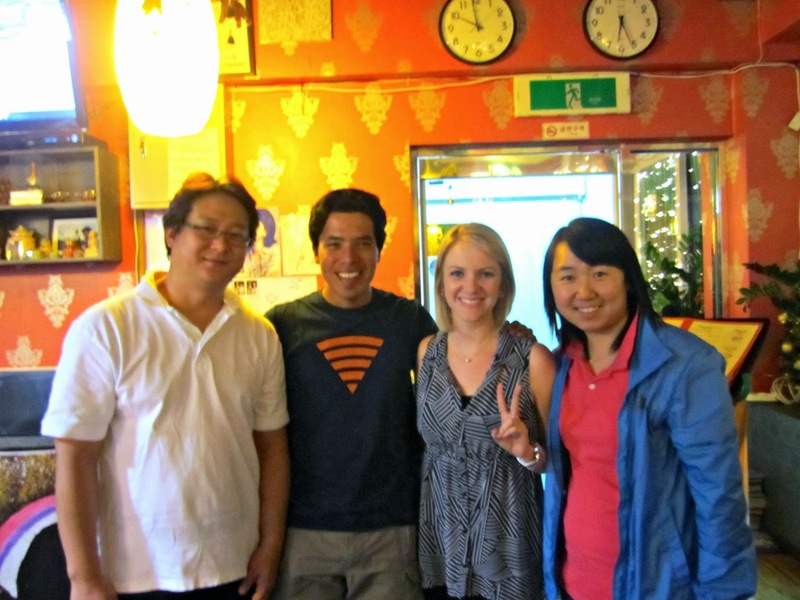 The dakgalbi lady told us that when we come back to Korea (not "if"), we must go to her restaurant again. And she offered us a free meal, but we will be gone by then. Mr. Kim told us he loved us (drunkenly, but it counts). My 7-Eleven lady actually came around the counter and hugged me, and looked like she might cry. My CU lady (not pictured), shook my hand and poured my drink for me (I guess that was a small gesture). The Indian food people didn't seem too upset but wished us luck and were kind none-the-less. I really love the community here and I will miss so many of the people. But, here's to bigger and better things!! Europe, here we come!! Even made me sad! You have friends who will miss you a lot. The kids pics are great and very nice hearing about the little guys... You have made a difference in their lives, all to the good. Hey, maybe we'll see you in Ireland, or even America if you make it for Thanksgiving. That will be so much fun. (maybe not as much as Korea, but . . .) Enjoy your continuing journey. And thank you for the Best Blog Ever - I learned a lot! Funny- I still get comments on my Medical Check translation post from a few years back, and noticed your comment towards the top. It's hard to believe someone who commented 10 months after I returned from my own Korean adventure has already had their year abroad! Glad you had a great trip-- and I agree. So many memories to last a lifetime, and always crazy to leave a place you've become such a part of in such a short amount of time. Best wishes for the next adventure!